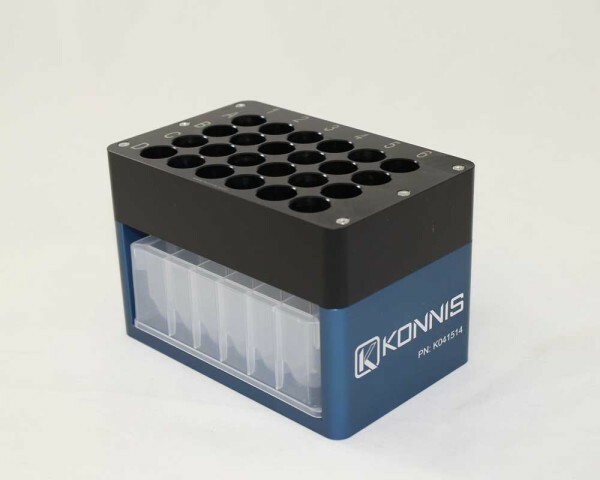 Konnis designed our filter tube assembly to be compatible with GE Healthcare PD-10 Desalting Columns. 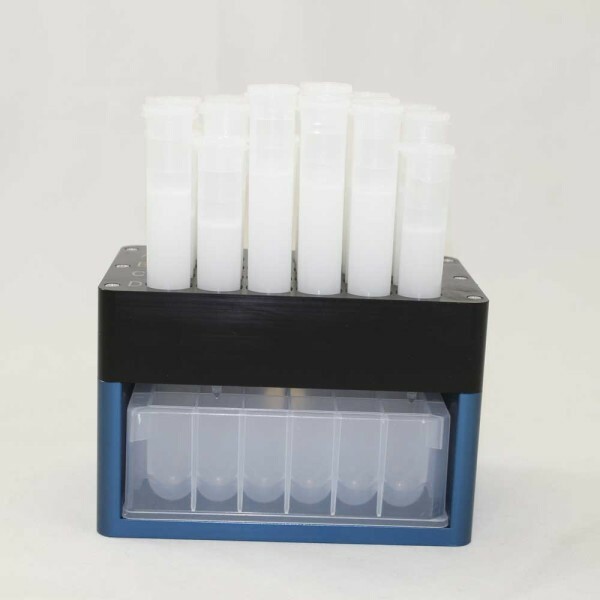 The top section holds the PD-10 columns for filtration. Beneath is a an opening for an SBS form factor 24 position collection plate or an SBS waste trough. 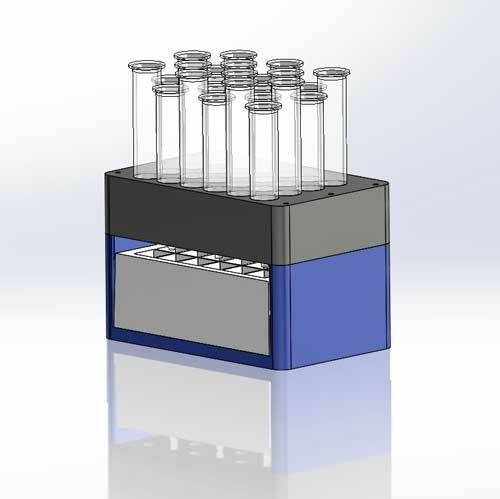 The deepwell plate may be changed out without disruption of the filtration columns and placed on the deck of your liquid handling instrument. 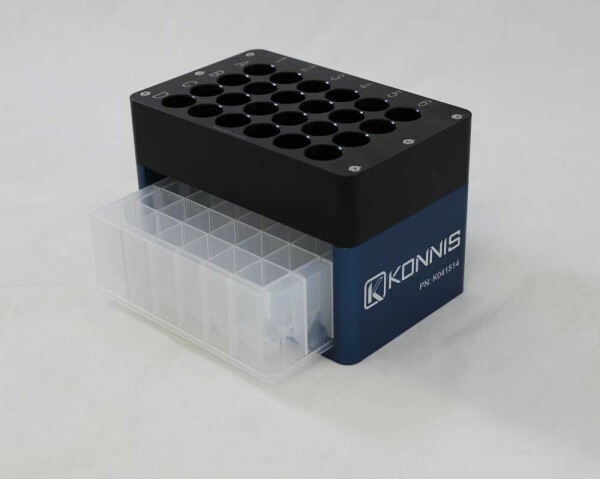 This S BS compatible version is a small footprint that allows for a 10ml 24 position deep well plate to be used as the receptacle for collection. Once collection is complete the deepwell plate can be replace by an SBS trough to collect the waste. 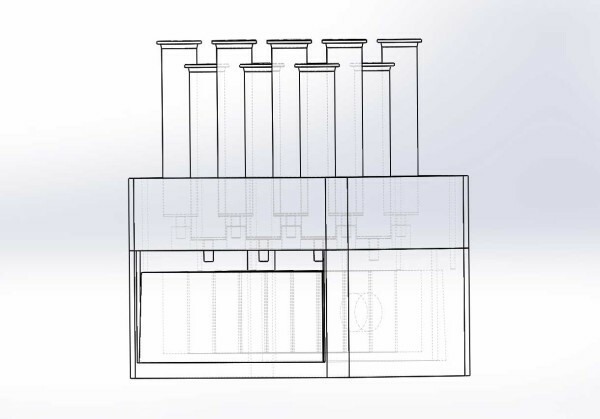 To configure the columns close enough to support the SBS receptacle the filter tubes are of various heights. 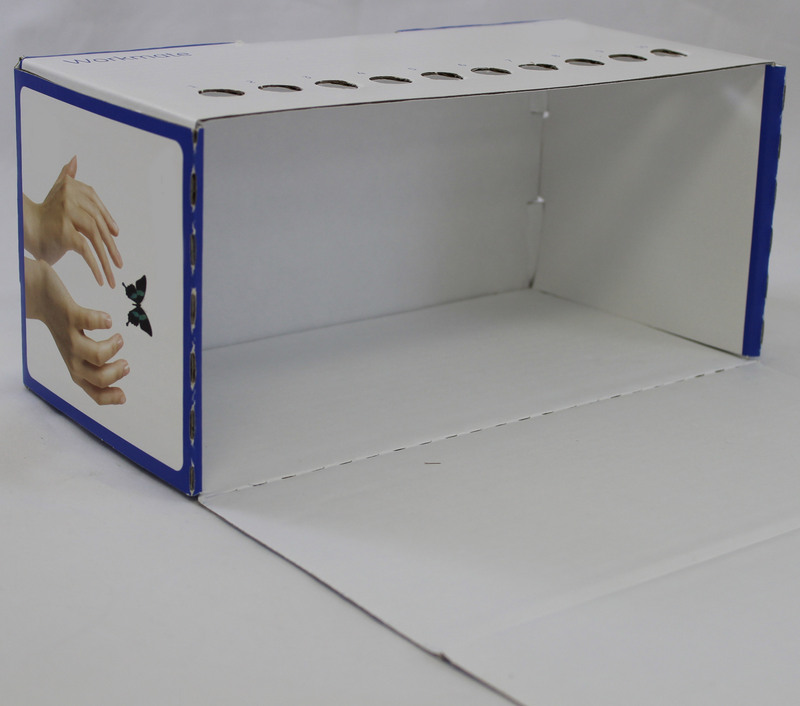 In this configuration the dimensions of the columns do NOT allow the use of the snap-on column extensions. 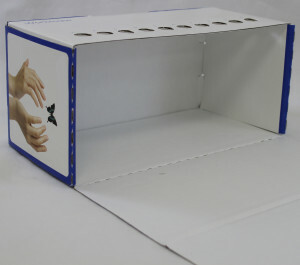 This assembly replaces the flimsy disposable cardboard holder cut from the storage box. Column filter box that converts to column holder. 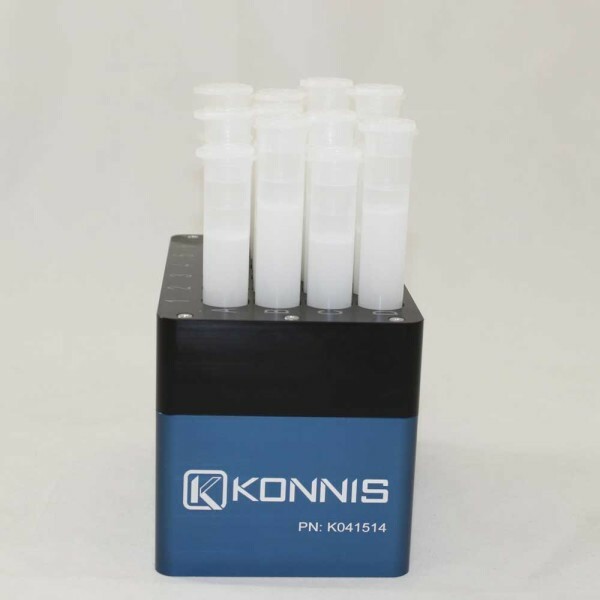 The Konnis Column Filtration Assembly is a permanent durable replacement. 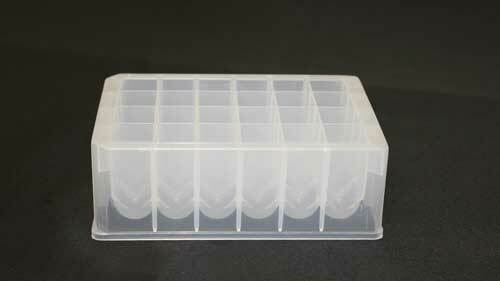 Store filtration columns in box then throw it away! 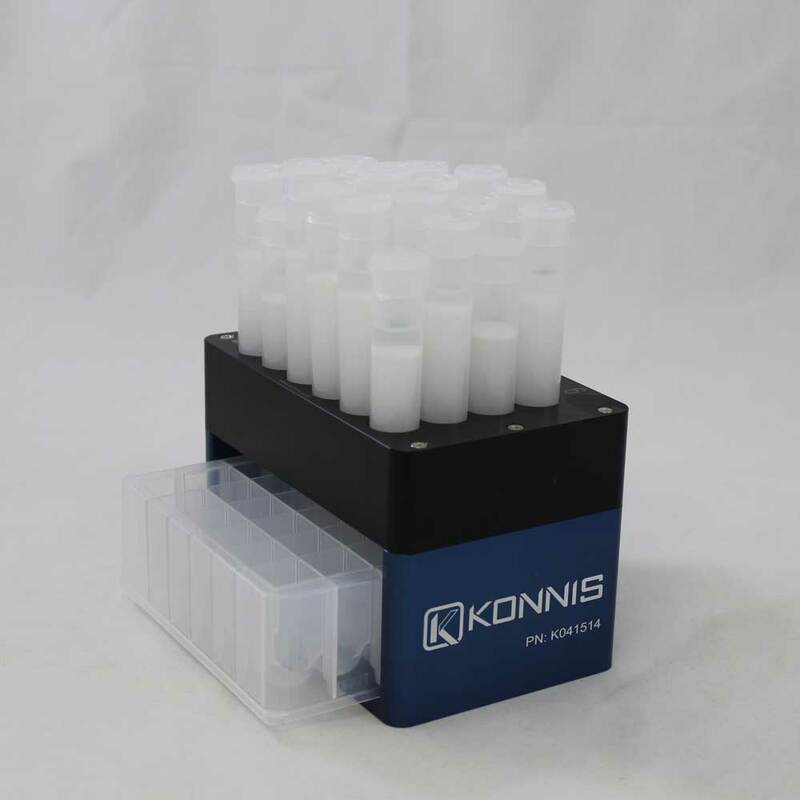 Desalting Columns can be used for applications such as desalting, buffer exchange, and removal of low-molecular weight compounds.